Human Rights Activists News Agency (HRANA) – Maryam Akbari Monfared, a political prisoner held in the women ward’s of Evin Prison, has penned an open letter in response to the highly controversial September 8th executions of Kurdish political prisoners Ramin Hossein Panahi, Loghman Moradi, and Zanyar Moradi. Monfared, whose own siblings have been executed, expressed her sympathy for the mothers and sisters of the executed prisoners and chastised the broken promises of both current president Hassan Rouhani and the past 40 years of Iran’s Islamic governance. It has been a week since that day, September 8th, 2018. September is the month of blood in Iran: September 8th, 1978*, and September of 1981**. September 8th: Everyone is worried. My ward mates and I have heart palpitations. We are in a swarm of contradictory news flashes. Some say the families were told the executions have stayed; someone else says that their families visited them yesterday for the last time. And then comes the 8 p.m. news, broadcasting a speech from a figurehead of a government touting “prudence and hope.”*** I think to myself, “Hope is such a beautiful word!”. Rouhani promises to break the chains of injustice with a golden key and to sow new hopes in the souls of the nation. He campaigned as his predecessors did before him, riding the wave of the country’s emotional elan. The ink on the ballots was still wet when he changed his stripes. How despicable of him to preside over the nation’s highest rate of executions and civilian crackdowns in 30 years. All eyes in the ward are transfixed on the TV screen and the news ticker running at the bottom. Ears in the ward are attuned to the speaker’s’ every word. That’s right. For 40 years, they sent this land’s youth to the gallows, lined them up before firing squads, sent them off wholesale to torture chambers and prisons. Then, brazenly, they speak of their actions under the guise of eliminating “terrorism” and other excuses of this ilk. The chariots of oppression, torture, and captivity have been riding unbridled for 40 years. I don’t intend to re-narrate the crimes of the regime, for the vileness and cruelty of the establishment are readily apparent. The news is abuzz with sympathy and condolences. Perhaps now it is too late to add my own….but for a while, I was unable to muster the presence of mind to pen even a few lines to the mothers and sisters of these beloved men. To my mothers and sisters: I know your pain very well. I can almost sense the unbearable, scalding pain in your hearts. I know the whispers of the warm lullabies you used to sing, even those lost in the wrinkled lines of your bodies or drowned out by screams in a faraway land. I know the bitter taste of those tears shed by poppy flowers. I know that you are adding a page to what will be the proud and bright history of Iran’s fight for freedom. I wish to honor your motherhood, this exalted, humane quality, and to thank you for your endless, unabating kindness. Your name is a comforting breeze in the sky. Your familiar faces and your kind gaze bear the promise of life, love, and resistance. When the flames of injustice burn your cheeks, I will put out the flames by touching your cheek to my own, which is frozen in the grimace of injustice. I am brimming with unspoken words. My tears and the lumps in my throat are bursting with the pain of oppression. But now is not the time to cry. We have to spread our screams all over like ashes. I will lean against your warm chest from behind these stony and cold prison walls. My heart is ablaze with pain, and the tip of the flames reach my throat. This is not only the fire of pain–it is also the fire of life. I wish to carry your tears and your anguish on my shoulder, to feel the burden of this responsibility for the rest of my life. My mothers! My sisters! We must harness the power of our collective pain to soothe the wounds of the Iranian freedom movement. The vampire will not leave its throne of darkness unless we shake that throne and force it to flee. Let me hold your warm hands with my cold hands, and together, we will join the ranks of the justice movement for our loved ones. To bring to justice the ones responsible for these horrific crimes, we must join forces. Maryam Akbari Monfared was arrested amid the 2009 Green Movement protests, and in June 2010 was sentenced to 15 years in prison by Judge Salavati in Branch 15 of Revolutionary Court for “enmity against God and the Islamic government through membership in the Iranian Mojahedin-e Khalq (MEK).” Monfared has denied these accusations. 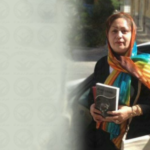 Monfared served the first two years of her sentence in Karaj’s Rajai Shahr Prison on the western outskirts of Tehran. She was then transferred in May 2011 along with eight other female prisoners to Gharchak Prison in Varamin, southeast Tehran. Shaheed protested the transfer and shed light on the deplorable conditions at Gharchak. 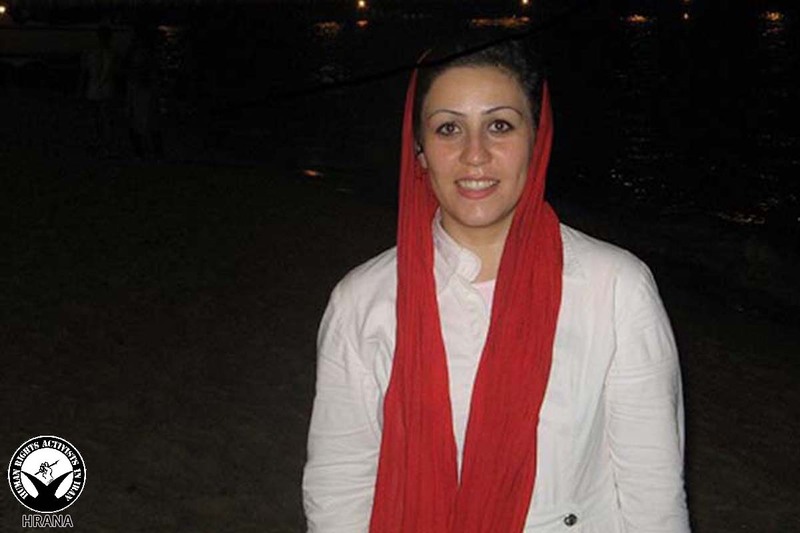 As a result, Monfared was then transferred to the Evin Prison women’s ward, where she is serving the remainder of her sentence. * In the last months of the Shah’s reign preceding the revolution, September 8th, 1978 came to be known as “Black Friday” when soldiers opened fire on protesters assembled in Jaleh Square, killing many. ** Iran’s then-new Islamic government intensified its crackdown on the opposition in the summer of 1981, arresting and executing a countless number of people. *** “Prudence and Hope” was Rouhani’s slogan during both of his presidential campaigns. In prison, your cellmate and ward mates become your family. They are the one we depend on the most; they are the ones with whom we share the moments, the hours, and the many details of our lives. When I speak of three children, three friends, three brothers like Zanyar, Loghman, and Ramin — especially Loghman and Zanyar, with whom I shared a ward for 10 years — I can barely stand the sound of my own breathing. I shared in their joy and sorrow, their court sessions and solitary confinement, their stress and anxiety, their deprivation and crisis, in each and every condition imposed on us by prison life. In their absence, the prison air is stifling and heavy. I no longer hear the sound of Zanyar’s laugh; I no longer hear the passing jokes of Loghman as he comes down the hallway. Night falls, and I can no longer visit their cells and graze from their plates. My God… their slippers are still outside their cells, but they will never be back… to think of it all, I feel as though I were the one who’s been buried. How I wish I could rip from my chest this heavy heart, so weighed down by forty years of injustice and oppression. I wish that by crying I could drain my own veins, tear by tear, and find solace. I wish I could show the whole world what they’re doing, taking our best, most precious youth and slaughtering them, watching their bodies swing from the noose with blank, demonic stares. Then they call the killings an exercise of their authority, ranting against an offensive, threatening that if they are hit once, they will strike back tenfold. Such is their formula for dealing with the populace: when the people, exasperated at the plunder of society, stage peaceful strikes or protests, rulers deem it a “hit” and hit back by killing ten prisoners. They hang them to avenge by terror, laying accusations of “criminal” and “mercenary” upon the dead. Our people know who our children are, despite it all, by the music of their hearts. In truth, if these three young men, and men and women like them, were not here to pierce through the darkness by offering the light of their lives, the curse of oppression and injustice would be eternal. If it weren’t for their sacrifice, then we would have no recourse but to seek freedom, justice, and human rights beneath the cloaks of mullahs, the likes of Khatami (former President) and Rouhani (current President), and our defeat would be written. This wretched, oblivious, and eternally delusional class don’t realize that the black-and-blue circles on the necks of the fallen are circles of love, an offering from the dead to the living. They are not unlike the crown of thorns that Jesus wore. That same vivid contusion will be the axis of concentric rings of revolt and rebellion, waged by freedom fighters against all forms of injustice and oppression. Saeed Massouri was born in 1965. After studying in Norway, he was arrested by Ministry of Intelligence agents in the city of Dezful (province of Khuzestan, southwestern Iran) upon returning to Iran in 2001. He spent 14 months in an Intelligence Office solitary cell in Ahwaz (capital of Khuzestan province) before being transferred to section 209 of Evin Prison. He was sentenced to death in 2002, but in an appeals court his sentence was commuted to life imprisonment. He is currently serving the 18th year of his sentence in the political prisoners’ ward of Rajai Shahr. Human Rights Activists News Agency (HRANA) – A number of Ahwazi Arab citizens were arrested by intelligence agents Wednesday, September 12th in Molashiyeh, located in southern Ahvaz County in Iran’s Khuzestan Province, near the Iran-Iraq border. 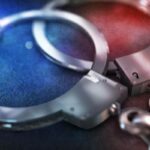 HRANA was able to identify six of the arrestees as Lami Shamoosi, age 31; Eidan Shamoosi, 28; Shani Shamoosi, 29; Farhan Shamoosi, 27; Amir Shamoosi, 19; and Jasem Heydari, 21. Many more than these six have been detained, according to estimates from local sources. At the time of this report, no further information was available on their location or the reason for their arrests. An annual report published by Human Rights Activists in Iran (HRAI) states that in 2017, 6883 citizens were arrested in Iran on ideological or political grounds. Among these were the arrests of 1281 individuals accused of posing a political, ideological, or security-related threat to Iranian citizenry. The demographics of the arrest pool include 66 media activists, 14 environmental activists, 222 religious minorities, 114 women protesters and women’s rights activists, and 60 laborers and labor activists. Human Rights Activists News Agency (HRANA) – From the walls of Evin Prison, detained civil rights activist Atena Daemi has written a letter in response to the executions of Ramin Hossein Panahi, Loghman Moradi, and Zanyar Moradi, three Iranian Kurdish political prisoners who were hanged to death in secret on Saturday, September 8th. The executions of the Moradis and Panahi drew outrcry from human rights institutions internationally. The attorneys representing them called their convictions and executions — the latter which took place without the mandatory notice to, or presence of, their lawyers — legally ambiguous under both Iranian and international law. Caught unawares, none of the families were present during their sons’ final moments, as the executions were carried out at an undisclosed location in Tehran. The Ministry of Intelligence has since issued detention threats to the family members of the deceased men. They killed our loved ones, and claim with pride that in doing so they have administered justice. The “justice” they refer to is not the one represented by Lady Justice holding a fair and balanced scale. It is instead a man — a man with a turban on his head [a cleric], whose forehead bears the mark of the clay which grazes his head during prayers. He is blindfolded, not as a sign of impartiality, but of blindness to the truth. In one hand is a rosary. In the other, a scale suspended by a noose. These scales are so unbalanced that one tray is a speck in the heavens, while the other is laden with dead bodies dragging it deep into the ground. This “justice” they invoke has been neither seen nor heard in *40 years. In this troubled time – a time of economic turbulence, poverty, and unemployment – what problem was solved by murdering these three beloved men? Has their killing soothed any of the ailments suffered by the Iranian people? How insolently you watch our loved ones draw their last breaths! It must burn you to hold them hostage from their families and brand them as terrorists, only to see them rise as steadfast symbols of democracy for the rest of us. For nine years, they showed friendship to inmates of different creeds and beliefs; they were endeared to their fellow prisoners, loved by us, and cherished by the Iranian people. Before the start of religious months of Moharram and Safar(1) each year, you prepare yourself for mourning with a savage display. Drunk and armed with handguns, you launch into a monologue about Imam Hussein, who, lips dry from thirst, was beheaded by Yazid. What a repugnant contradiction–what abhorrent hypocrisy! You mirror Yazid’s troops, and for the past 40 years, you have tightened ropes around resolute throats, pulled the stool from beneath the feet of persistent and patient youth. You instigate sectarian war between Sunni and Shiites. Then, your pockets brimming with billions, you pretend to be mourning Hussain. I am sure that you know your savage acts only dig you deeper into public contempt. Your path is one of self-annihilation. Today, you only dug your graves deeper. You did not kill Zanyar, Loghman, and Ramin. You have only endeared them in our hearts, inspiring the world into mourning the true martyrs of our time. You have tarnished Iran’s standing and dignity in the world. They see us as a terrorist country for the cutthroat, blood-thirsty, and rapacious actions of a select and powerful few. How long and how far will you continue on this road? Dream on about imposing war on your people: they will rise to the challenge again and again. Stop your killing machine. Lift your lead boots from the throats of Iran and Kurdistan. How tightly you cling to your towering throne, oblivious to the fact that you could tumble from your high horses at any moment to the miry earth below. Throughout history, many who rode high thought of themselves as invincible, only to take refuge in sewage tunnels, where they were tracked down and punished for their crimes. Iran is a pile of live embers cloaked in a thin layer of ash. Lest your actions arouse the flames that lie beneath. We congratulate the steadfast families of these martyrs. (1) Months in the Islamic lunar calendar commemorated by Shiite Muslims in mourning of Imam Hussein, the 3rd Shiite Imam, who was killed in battle against Yazid (Imam Hussain has come to symbolize the force of Good while Yazid stands for Evil). ** Zanyar and Loghman Moradi and Ramin Hossein Panahi were all reportedly on hunger strike before they were executed. Human Rights Activists News Agency (HRANA) – Jamil Savari, resident of Ahvaz in Iran’s southwestern Khuzestan Province and member of the Ahwazi Arab ethnic minority, was released on a 200 million IRR (approximately $14,000 USD) bail Sunday, September 9th pending completion of the investigation into his case. During the week of March 29th, 2018, members of Iran’s Ahwazi Arab minority staged rallies in protest of being treated as “invisible” by the state-run media, one example of what is believed to be a larger policy of oppression and discrimination endorsed by the Islamic Republic. 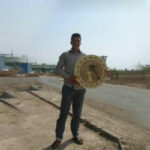 Savari was first arrested in March of 2018 by security forces in the midst of these protests, and was subsequently transferred to Sheyban Prison in Ahvaz. Security forces arrested hundreds of protestors in efforts to shut down the March rallies, which gained momentum in a number of cities, particularly in Khuzestan near the Iran-Iraq border. Reports have surfaced of authorities’ mistreatment and torture of these detainees, many of whom–including a number of minors whose conditions are unknown–remain behind bars despite authorities’ verbal engagements to release them. Human Rights Activists News Agency (HRANA) – Political and civil rights activists detained in the Women’s Ward of Evin Prison in Tehran have released a statement in response to the execution of political prisoners Ramin Hossein Panahi, Loghman Moradi, and Zanyar Moradi. In a letter, Narges Mohammadi, Nasrin Sotoudeh, Golrokh Ibrahim Iraee, Maryam Akbari Monfared, Atena Daemi, Azita Rafizadeh, and Negin Ghademian expressed condolences to the families of the three Iranian Kurdish prisoners, who were hung to death September 8th amid dubious legal proceedings and international protest. Barring the families from interring their sons’ bodies themselves, authorities commandeered the remains to be buried in an undisclosed location. According to Ramin’s brother Amjad Hossein Panahi, the Ministry of Intelligence has threatened the Moradis and Panahi families with detention. To the surprise of all families involved, the executions were carried out in an undisclosed location in Tehran province. Amnesty International, one of the human rights organizations who were aghast at the course of the young men’s case, called the executions an “outrage.” Voices of the Evin Prison Women’s Ward now join the wave of dissent against the outcome of their case. During a visitation on Sunday, the authors of the statement, many of whom are being held as political prisoners themselves, joined the families in singing “Ode to the Bleeding Tulip” and “O Iran” to commemorate and honor the memories of Ramin Hossein-Panahi, Loghman Moradi, and Zanyar Moradi. No words could contain the crushing weight of our sorrow. These brave children of our country leave us a legacy of patience, freedom, and perseverance. Their names are affixed to the helms of those fighting for freedom, and for those that seek it, the path has been laid by their resistance. 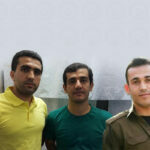 We wish solace for the families and cellmates of Zanyar Moradi, Loghman Moradi, and Ramin Hossein-Panahi. We wish solace for all the afflicted citizens of our land. We bear your pain in our chests and we stand with you. 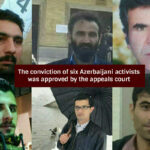 Human Rights Activists News Agency (HRANA) – Six Azerbaijani activists accused of national-security related crimes for protesting Azerbaijani cultural misrepresentation in 2015 had their appeal rejected. On September 1, 2018, Judge Hossein Farshi Radvar of Branch 3 of the East Azerbaijan Province Appeals Court moved to uphold the original ruling, issued to a total of seven activists in October 2017 by Branch 1 of Ahar Revolutionary Court. Ahar is situated in northwest Iran, home to Iran’s Azerbaijani ethnic minority. 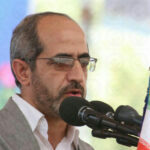 On a conviction of “Assembly and collusion against national security by propagandizing against the regime,” the activists all face prison time: ten months for both Akbar Aboulzadeh and Ebrahim Noori, and seven months apiece for Esrafil Fathollahzadeh, Hamed Allahverdipour, Morteza Shokri, and Soleiman Kazemi. Though the appeals court had also summoned Saleh Molla Abbasi, his name did not figure in the final verdict. The initial ruling indicated he faces a 10-month prison sentence. From the group of seven, the four who attended the initial court hearing were the same ones present at the appeals hearing: Aboulzadeh, Fathollahzadeh, Allahverdipour, and Shokri. Three others – Saleh Molla Abbasi, Kazemi, and Noori – did not attend the court session. 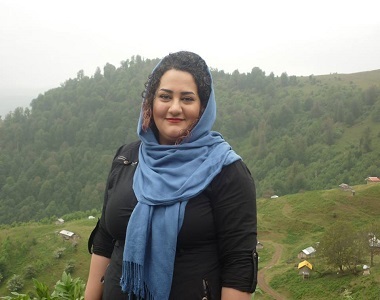 Noori is currently serving a sentence for other charges in Evin Prison of Tehran. The activists were arrested in November of 2015 for their involvement in public protests against the state-sponsored television series “Fitileh,” parts of which were believed to portray the Azerbaijani ethnic minority in a derogatory light. The “Fitileh” protests reportedly involved around 25 participants. All but these seven were eventually acquitted. HRANA previously reported on the activists’ pending appeals hearing.